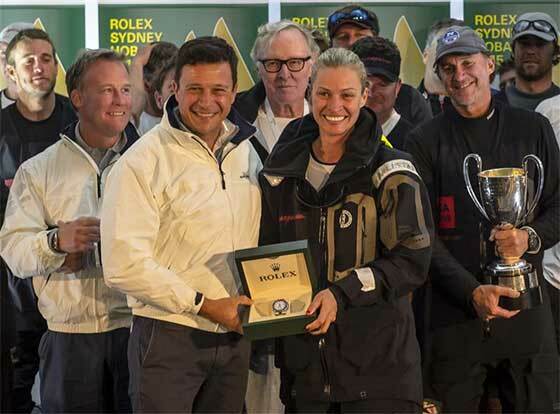 Jim Clark and Kristy Hinze-Clark’s super maxi Comanche pulled off an incredible feat tonight, taking line honours in the 71st edition of the Rolex Sydney Hobart Yacht Race, winning the Illingsworth trophy and a Rolex Yacht Master II timepiece. This was the first time in 17 years that the most coveted title in offshore yacht racing has been won by an American team since Larry Ellison’s Sayonara won in 1998. 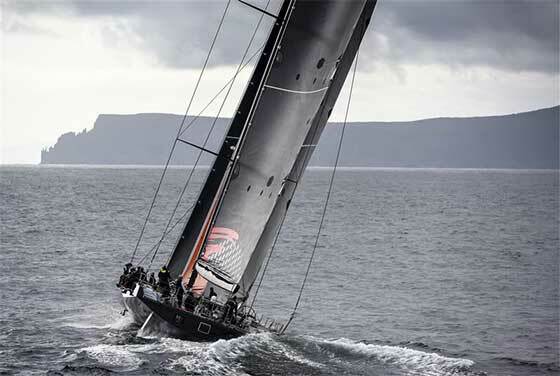 Designed to break records, the 100 foot maxi debuted in last year’s edition of the Rolex Sydney Hobart and since then has circled the globe, collecting the most prestigious titles in yachting – setting a new 24 hour monohull distance record, line honours in the New York Yacht Club Transatlantic Race and the Rolex Fastnet Race – Comanche’s performance this past year has been unlike anything ever seen in yacht racing. Returning to Australia, seeking the title that they so narrowly missed out on last year, was a Herculean effort, which has paid off nicely. The French-designed maxi managed to extend their lead this afternoon as they rounded Tasman Island and crossed Storm Bay towards the finish line, putting solid distance between fellow American competitor George David’s Rambler 88, which is expected to finish in the early Tuesday morning (AEDT). Syd Fischer’s Ragamuffin 100 is in close pursuit despite having severed their starboard dagger board overnight, crashing through the rough seas. 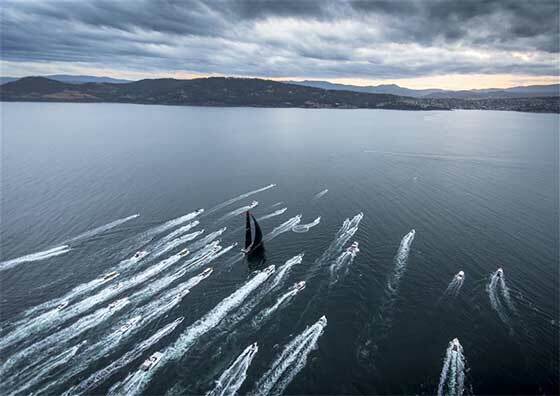 The 2015 edition of the Rolex Sydney Hobart Yacht Race has delivered some of the most grueling race conditions since 2004. Almost one third of the fleet of 108 retired in the first 48 hours – the litany of damage included rudders, dagger boards, masts and sails. The remaining teams have their sights set on the finish line in Hobart in hopes of a win on corrected time. Most of the smaller yachts have only just passed the halfway mark in Bass Strait and as the breeze continues to lighten towards the Tasman coast the Tattersall's Cup, for overall corrected time winner, is still in play.